The Chapala branch of the Comisión Federal de Electricidad (CFE) is taking a stab at improving customer services with the opening of a new office located at the corner of Calle Zaragoza and Privada Zaragoza, about a half block away from the former location. 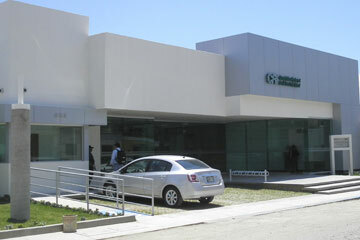 The sleek Centro de Atención a Clientes boasts enhancements such as air conditioning and an ample seating area with cushioned furnishings where clients can comfortably await numbered turns to be attended at one of the two desks where customer service personnel handle new contracts and other CFE business matters, along with general questions and common complaints. A row of parking spots set just steps away from the entrance to the facility are reserved for use by handicapped and senior clients.